Map of Ivalice in FF12 and Revenant Wings.1 Note that not all areas are accessible in Revenant Wings. Lemurés before the destruction of Muruc Cahuac. 1. The reach of Giza, the Great Yensan Sandsea and Westersand as well as most mountain ranges are from FF12RW map. 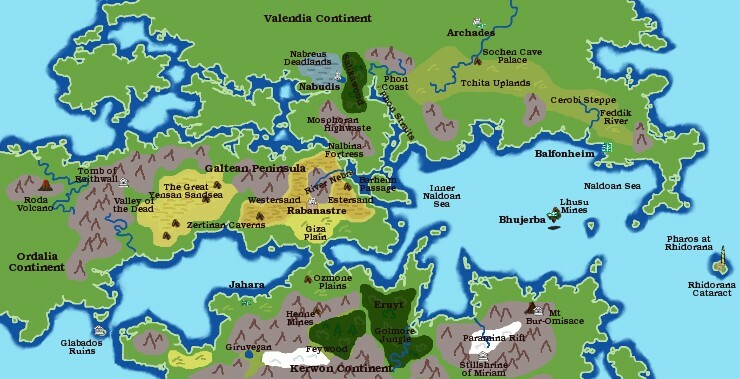 The general area of most other locations is from FF12 map, the remaining geographical features are estimated based on scenery in the games and descriptions of locations. Warning: creating a page through this button makes a page in the category and as a child to the page you're on right now.